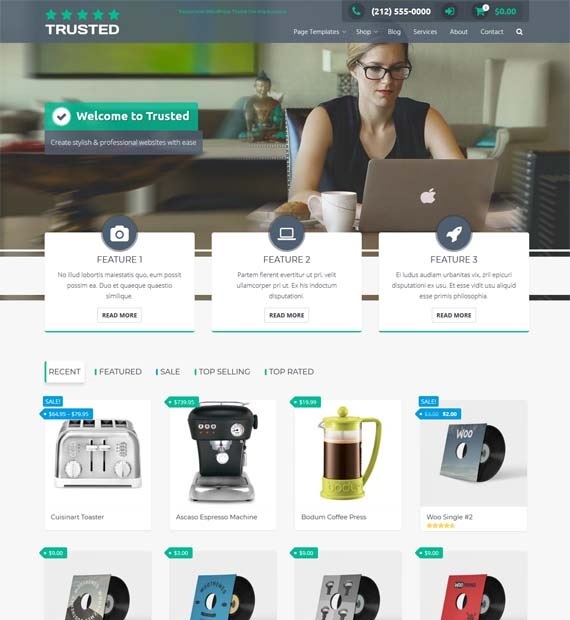 Trusted is an extremely user-friendly WordPress theme that has been designed to work with the WooCommerce plugin. With over 9 Widget areas, 4 distinct customizable sidebar designs, primary and footer menu customization options, Trusted is definitely not lacking in features. Not only that, Trusted has a number of post formats, custom logo, custom background, as well as custom color options to give an attractive look to your website. This free theme allows you to easily customize your website while previewing the changes in real time. Trusted is also fully responsive so your website will run smoothly on all devices.